A great book. Loved that the theory is backed up with what happened in real life for this guy. You see how real life situations benefit from some mindset preparations. 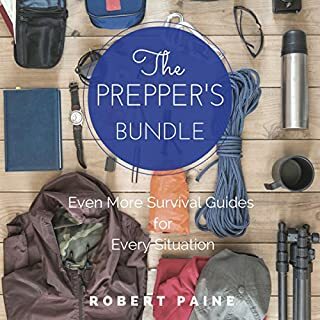 I'll never be an EMT, or bouncer or have people shooting at me, but his situations and experience give me a clearer roadmap for my few life emergencies. Great mindset, and it helps me prepare. Narration is well done too! Do your boss or others at work look out of shape, negative and dejected? Do you stop to think about your own health and wellness, and ask "Is this where I’m headed?” Do you see others living uninspired, unmotivated lives and wonder if this is the way things have to be? Maybe you have neglected the health and fitness of your own body and are afraid you cannot get things under control. Well, YOU CAN. It's not filled with a bunch of fluff. I like that he boils it down to the essentials rather than trying to pad the word count. Actionable items and to the point. Narrator is very comfortable, easy to listen to. Sounds like a pro. Hopefully this team does more books. I've heard this narrator before, he does a great job. Are stars like Usain Bolt, Michael Phelps, and Serena Williams genetic freaks put on Earth to dominate their respective sports? Or are they simply normal people who overcame their biological limits through sheer force of will and obsessive training? 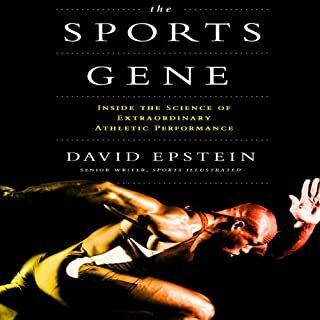 In this controversial and engaging exploration of athletic success, Sports Illustrated senior writer David Epstein tackles the great nature vs. nurture debate and traces how far science has come in solving this great riddle. I think I'd rather read this one. Good content, but hard to listen to. I didn't make it all the way. Maybe if I knew the author already, but too fast and clearly not a polished voice. He tried too hard to imitate different characters and clearly that's not his strength. Should have been left the voicing to a pro or someone with far more experience. Lisa Mortan's ideal life crumbles when her rich and powerful fiancé demands she ends an unwanted pregnancy. 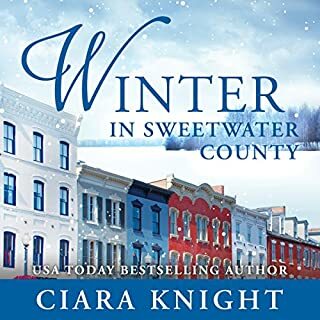 With no job or social support, she flees to a small town in hopes of finding a good family for her unborn baby, but instead finds a man who is as broken as she is. Eric Gaylord returns to his home town for a respite after a tragic loss, but when his spitfire mother takes on an unknown woman as a business partner, he is forced to face the nightmare he'd left behind or risk losing the one woman who could heal his heart. She practically ignored me one evening as she got near the end, so there must be something there. 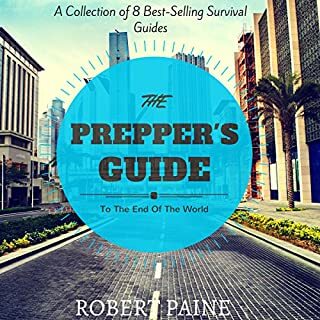 I listened to some of it and the narrator is great, but frankly not my style of story, even if it is excellent (per the reviews and my wife). Very engaging voice, so I can see why it worked well for this story. Are you an entrepreneur with a business or business idea? Do you want to start, run, and grow your business without worry, doubt, and fear of failure? Maybe you’ve been running one or more businesses, but can’t get over the stress and worry that your business will suddenly fail. Fear not. 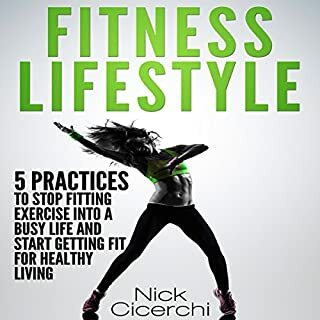 Derived from tried-and-true principles discovered by some of history's most successful people, this book identifies five practices that, if followed daily for just a few minutes, will help you be successful. 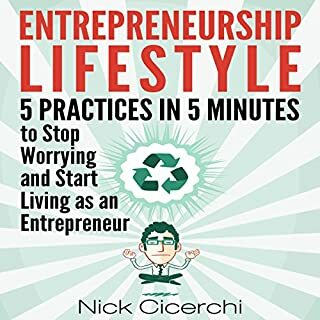 Would you listen to Entrepreneurship Lifestyle again? Why? Yes, while it's short, it's packed with good information. This is one I'll listen to multiple times, and cycle back next year too. I like the story and the narrator. Brings the stories to life. If you could sum up The Obstacle Is the Way in three words, what would they be? Decent content, difficult to listen to. Some parts were fine, but too much of the time the narration took away from the message. Sounds like he has a cold, and not enough emotion in his voice, relatively flat read. Should have hired a pro narrator. 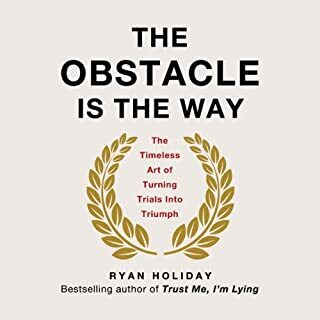 Would you be willing to try another one of Ryan Holiday’s performances? Not likely, unless there's a different narrator. Relatable stories with real people and situations. Not only will Tony have you laughing out loud while he reveals the secrets behind weight loss and how the human body functions, you will also learn how to look at your own body chemistry to understand the underlying cause of your weight issues. 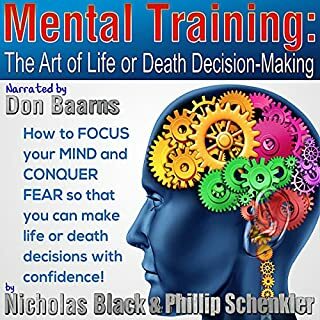 Since the reasons for weight gain vary from person to person, once you understand what is going on with your chemistry, this audiobook will help you understand what foods, supplements, or lifestyle changes could eliminate your need to continue buying bigger pants. 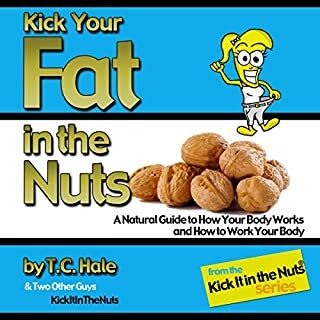 What made the experience of listening to Kick Your Fat in the Nuts the most enjoyable? Nice conversational style, fun and very informative. Packed with info, so this is one I want to hear a few times. What was one of the most memorable moments of Kick Your Fat in the Nuts? I realized I've been doing it wrong, listening to advice that probably works for others, but never has for me. What about Donny Baarns’s performance did you like? Very articulate but sounds like he's having a great time. I'd swear he was the author if I didn't know better. He makes it personal and fun. 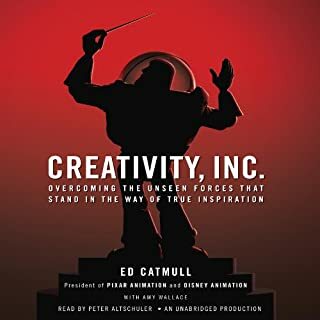 If you could sum up Creativity, Inc. in three words, what would they be? Which character – as performed by Peter Altschuler – was your favorite? Peter Altschuler makes it feel like he's the author, telling his story.